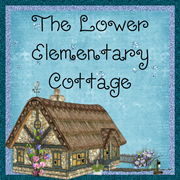 The Lower Elementary Cottage: Only 2 Days Left of Summer School! Summer school is almost over! Just two tiny days left! This month has quite honestly flown by! I have been so busy getting to know the staff, learn the new curriculum, get to know the kids, and just generally get settled in! Our main goal of summer school has been to set up the tone for the year. We are getting the students used to the routines, expectations, and testing their limits both academically and socially. We have multiple kids who really struggle with emotions and/or behaviors. 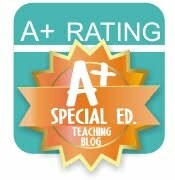 Nothing too severe of course since our school is all high functioning disabilities, but more of something we'd like to start interventions now to help our students be successful all year! We've used this summer school session to praise and reward good behaviors and encourage them to keep happening. We also have been pushing the limits on our kids. We really want to use this time to teach them the strategies for dealing with their own emotions during summer school when our days are shorter and a little more flexible. I'll have to do a post soon about our regulation tools we use! One "tool" is to send a kid outside to run in big circles around the grass when he has too much energy. The people in the offices get to see a funny sight as kids fly past their window randomly! We've also been doing baseline assessments to determine a starting point for each student's academic plan for the year. Lauren and I didn't get much of a chance to plan together before summer school, so we already have plans to meet during August to review files, student plans, and discuss the changes we'll make when we start our longer, regular school days.